OPERATED BY LUBE PIT STOP. INC.
tor oils contain non-conventional, high-performance fluids and a system of additives to help prevent wear. keep an engine clean, flow easily, maintain viscosity. prevent rust and reduce friction. The result is a lubricant that remains liquid and slippery under the widest possible range of temperatures and engine conditions. What makes synthetic Oil superior to conventional Oil? Historically. conventional oils lack the performance of synthetic oils in the areas of low-temperature performance and high-temperature oxidation stability. 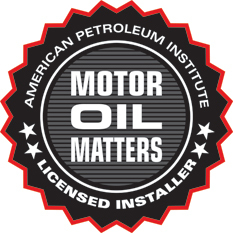 Conventional motor oil is made up of an inconsistent mixture of long and short chains of carbon and hydrogen atoms. In the extreme heat of an engine. short-chain molecules can evaporate, and unstable molecules can oxidize and break down. Conventional oils also contain much greater amounts of impurities. such as sulfur. reactive and unstable hydrocarbons. and other undesirable contaminants that cannot be completely removed by conventional refining of crude oil.